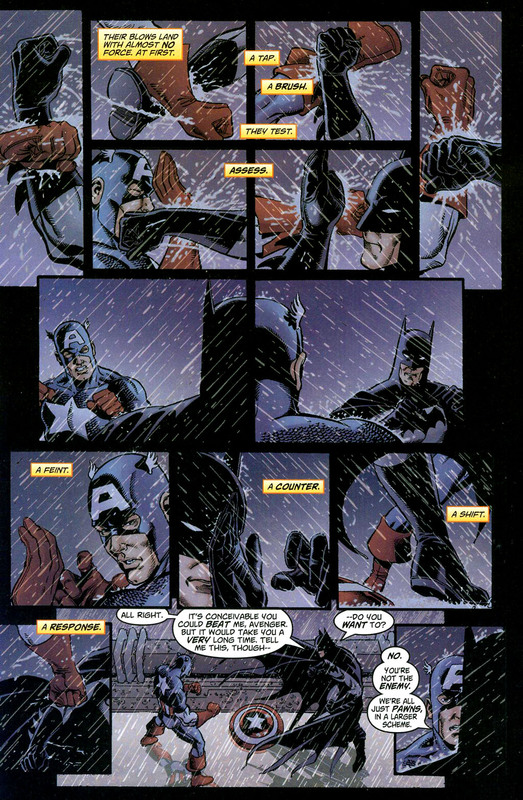 Today we look at the short but awesome Batman vs Captain America fight from JLA – Avengers # 2. In this issue, we open with the first ever fight between the Justice League and the Avengers moments after the latter was transported to the DCU. 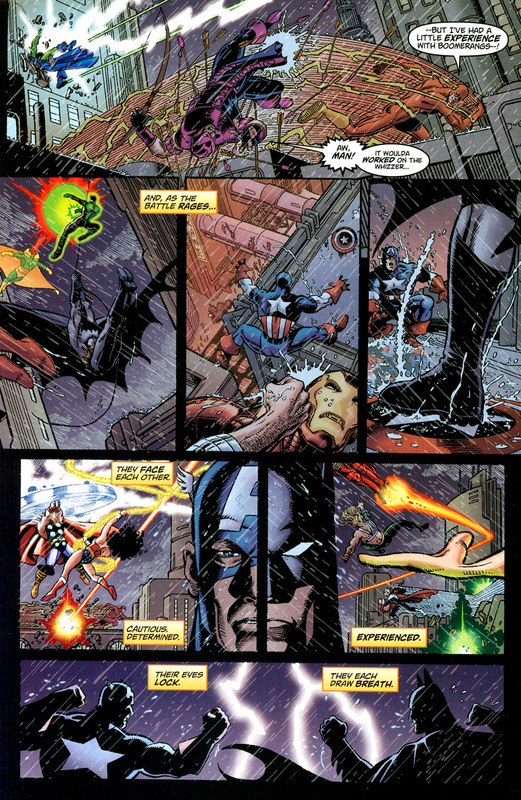 Batman sneaks away from the main fight only to end up in what I consider as one of the best moments in the 4 issue miniseries JLA – Avengers by Kurt Buseik and George Perez. The two expert fighters have been considered as the greatest in their universe and we get to see them fight. Sadly its not an all-out brawl but rather a testing of skills and capabilities. 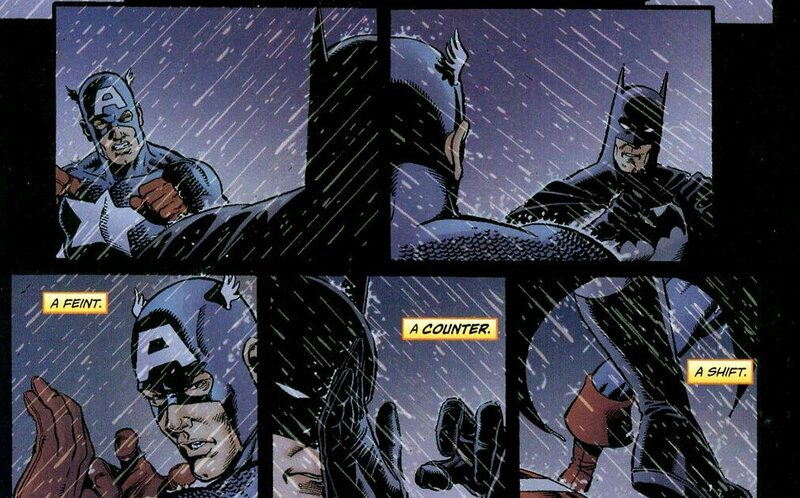 I liked that they also realize in a few strikes that neither of them are the enemy. The two split off from main fight, looking to find Krona and Metron and the Grandmaster and end this contest that endangers both their universes.